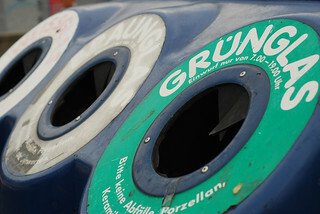 Germany, have the second highest recycling rate in Europe at 65% (recycling and composting combined). Germans produced less household waste per head in 2008 than they did in 1997. The question is – How do they do it?…..
5 Strategies the Germans are Using to Cut Waste and Eliminate Landfill. Incineration or energy from waste is the thermal treatment of waste to reduce its mass and extract energy from the waste in the form of heat. This heat can then be used directly (for example in industrial processes or district heating) or to drive turbines which generate electricity. 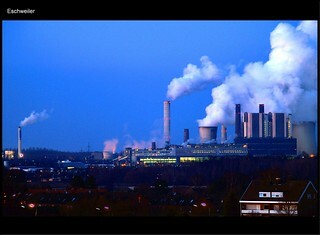 Note: In fact 40-50% of ‘energy-from-waste’ plants in Europe won’t meet new EU criteria for energy recovery. It was the Germans who came up with that confusing little emblem the green dot. The green dot signifies the fact that the manufacturer of good within a package has paid a fee towards the cost of recycling/ recovery/ disposal of that package. The heavier the package, the greater the fee which incentivises manufacturers to ‘lightweight’ packaging as much as possible. Producer responsibility shifts the cost of recycling/ recovery/ disposal from the taxpayer to the consumer. Quite a number of countries across the EU have deposit refund schemes. The idea is straightforward. You pay a deposit on a container, most commonly a glass bottle, and when you return the bottle you get your deposit back. In Germany they run a scheme where a deposit of Euro .25c is paid for bottles of between 0.1 and 3 litres. What better way to make sure rubbish isn’t thrown into a landfill than making it illeagal. Well that’s exactly what the Germans did in 2005 and since then they have seen rates of landfilling fall to around 1%. This is all treated waste with organic content <3% or in layman’s terms the ash out of the incinerators. The figure has come down from around 40% in 1995. You have some rubbish to throw away? (for processing in the incinerator). Well you’re going to have to pay for it. Electronic systems are used for identifying and weighing bags of rubbish. 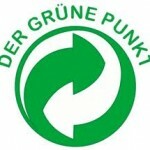 So there you have it – a blueprint for 65% recycling rates and no landfill, courtesy of Germany; thanks Germany. I was wondering if you’re interested in conducting a guest post on my site. I absolutely love reading through your blog and I know a great deal of my followers would, too. If nothing else, you should get a few additional visitors for your blog! Flattery will get you everywhere my dear. I’ll fire you something across. If you wish to give guidelines please feel free to do so – do it quickly mind, I don’t know when the muse will take me to write your post! Waste Management – How the Germans do it | ecofocused.com? You could have thought of a much better title than that, lol.